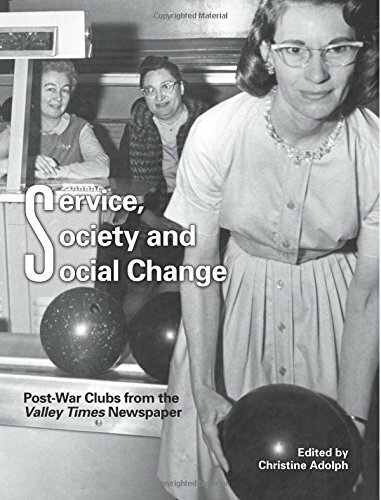 Over 25 years ago, while organizing the photo collection of the Los Angeles Public Library, librarian Carolyn Kozo Cole found many photos that documented the city’s political and professional history – political rallies, building construction, front page stories – but few images showing the personal side of its history – church picnics, school fairs, family photos. 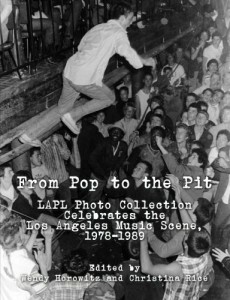 Moreover, there was little (if any) photographic evidence of the rich ethnic diversity in greater Los Angeles. 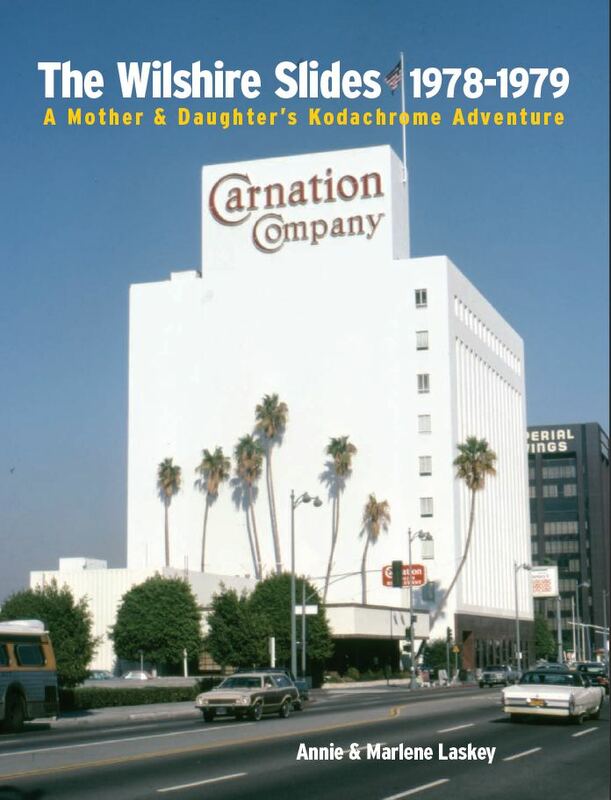 When a patron came to the library in 1991 and asked for historic photos of the Watts neighborhood, the only photo in the folder marked “Watts” was of a railway station. For Cole, this was a watershed moment. 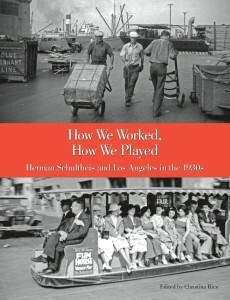 Garnering assistance from librarian Kathy Kobayashi, project coordinator Amy Kitchener, and a team of volunteers (plus financial support from Security Pacific National Bank, Sunlaw Cogeneration Partners, California Council for the Humanities, the Ralph M. Parsons Foundation, the John Randolph Haynes and Dora Haynes Foundation, and the non-profit organization Photo Friends), the Shades of L.A. project was launched to broaden the Library’s photo collection and showcase the City’s multicultural makeup. 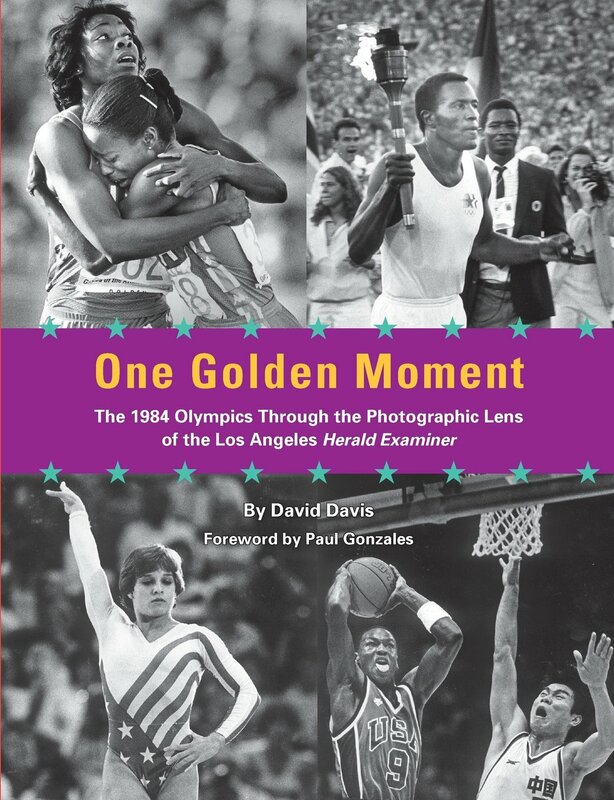 The first year of the project (1991) focused on the city’s African American communities, with the first “Photo Day” occurring at the Vernon Branch on South Central Avenue. Local residents showed up bringing family portraits and personal snapshots. 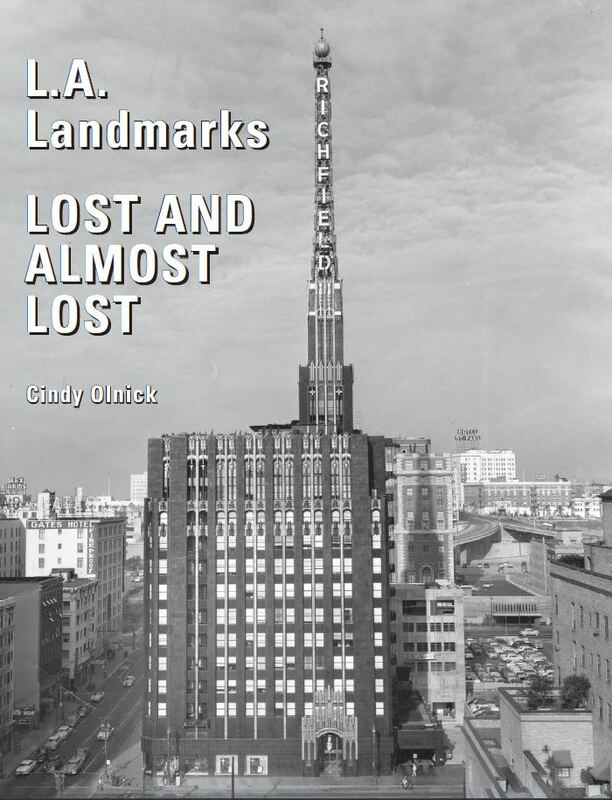 A large part of L.A.’s personal history – previously tucked away in shoeboxes, scrapbooks, desk drawers, and family bibles – was now to become part of the photo collection of the Los Angeles Public Library. 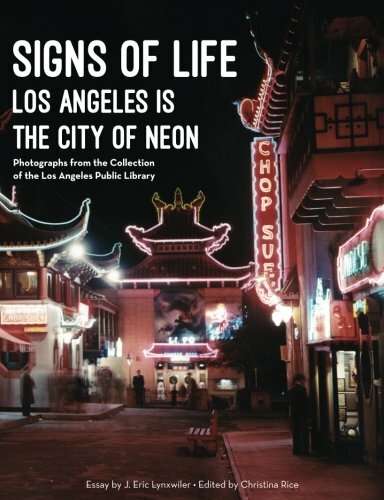 In honor of Black History month, here are photos that capture African American life in Los Angeles, from home life to high life. 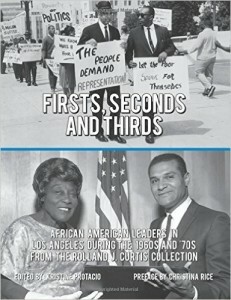 NOTE: All photos in this blog post are from the Shades of L.A.: African American Community collection. Whenever possible, dates and photographers have been noted. 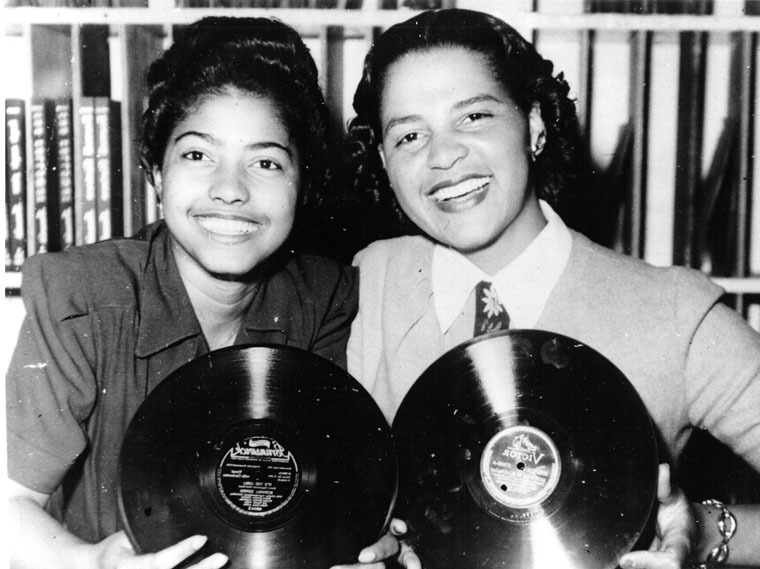 Emma Millhouse (right) poses with her friend at their after-school job in a record store. 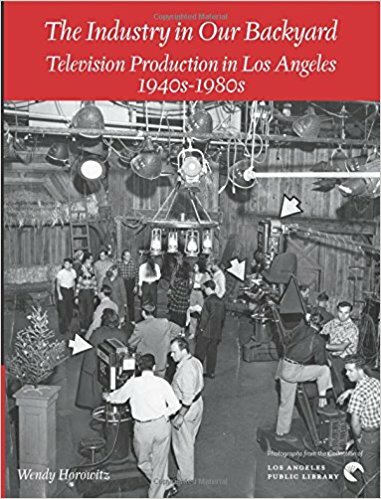 Millhouse had also worked at the National Youth Administration office in Los Angeles, a New Deal agency formed to assist young people between 16 and 25 years of age in finding jobs. This photo was taken in 1941. 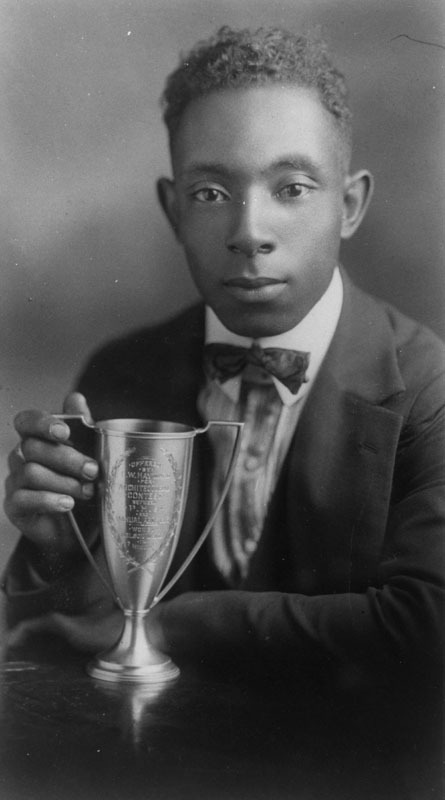 A student poses with the trophy he won in an architectural contest between students at Polytechnic High School and Manual Arts High School in Los Angeles. This photo was taken in 1917. 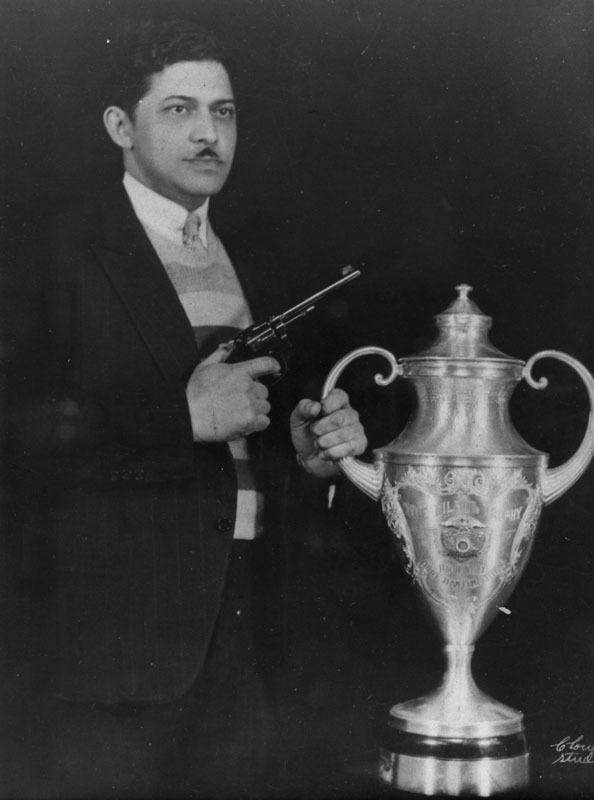 Dr. Eugene, the winner of a sharpshooting competition, poses with his trophy and his weapon in 1935. 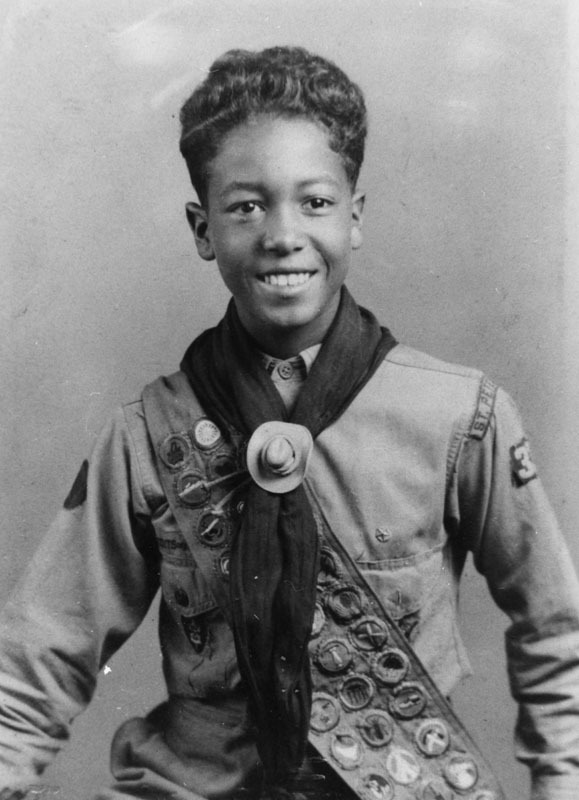 Boy Scout William Legget poses with his merit badges in 1936. 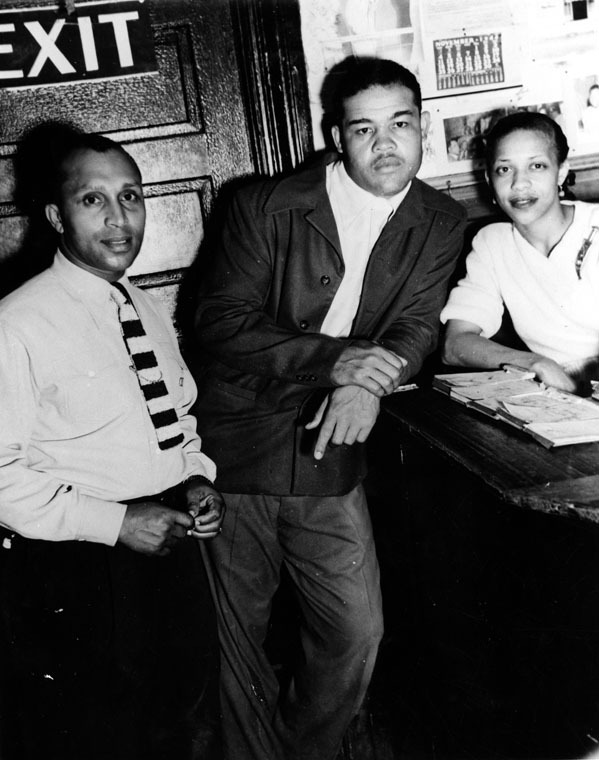 Boxer Joe Louis (center) poses with a woman and Gordon Sheppard in Shepps’ Playhouse, a breakfast club (open all night until breakfast) in downtown Los Angeles that boasted the likes of Coleman Hawkins, T-Bone Walker, and members of the Duke Ellington band. 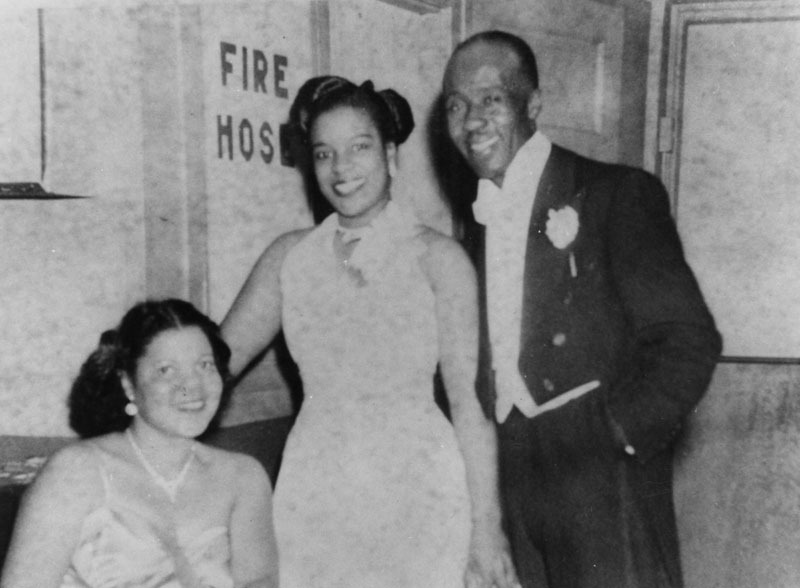 Sheppard, a former Hollywood cameraman, opened the club in Bronzeville, a neighborhood that sprang up in Little Tokyo during WWII. 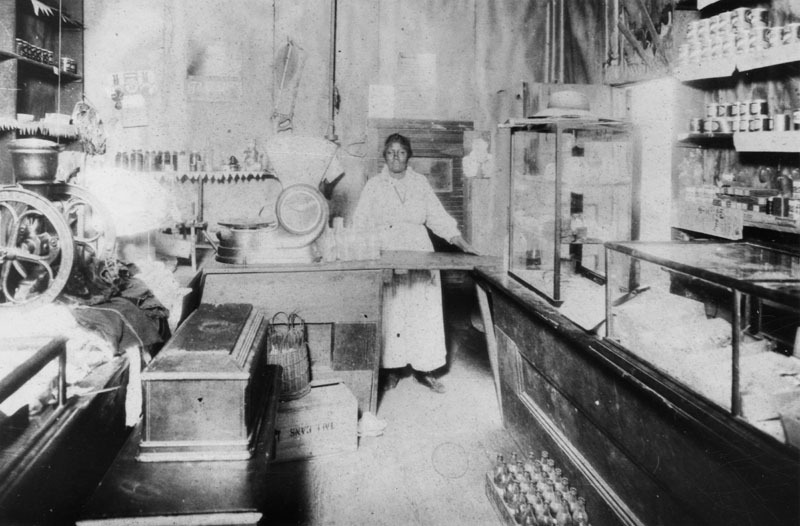 Liney, a store clerk, stands behind the counter at the Rozier Family Store, a family-owned grocery market in Los Angeles. This photo was taken in 1906. 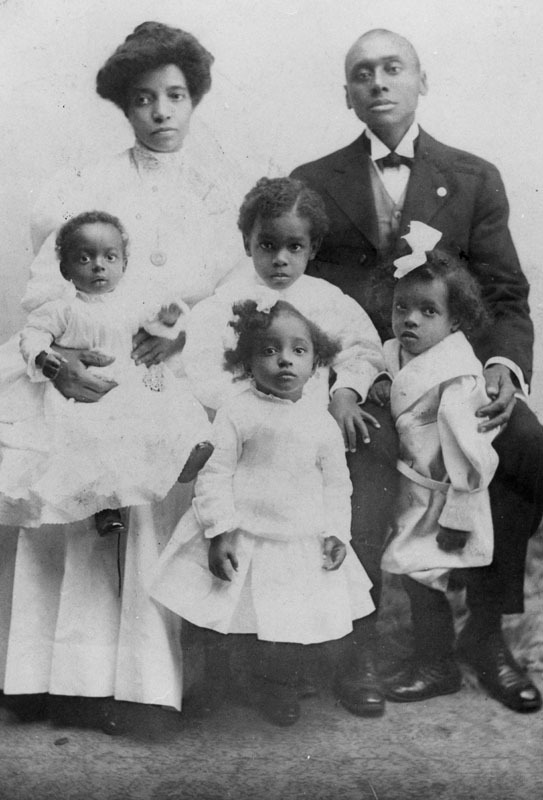 Amanda and Joseph pose with their children Grace, Raymond, Mildred, and Alphonso for a formal family portrait taken in 1907. 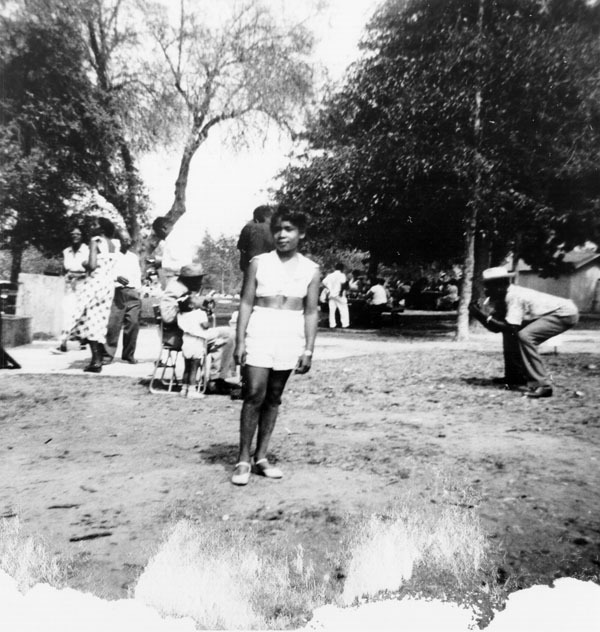 A girl enjoys Val Verde Park, also known as The Black Palm Springs. 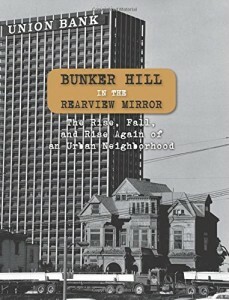 (Many African Americans frequented this area when they were barred from visiting public beaches and swimming pools.) This photo was taken in 1954. 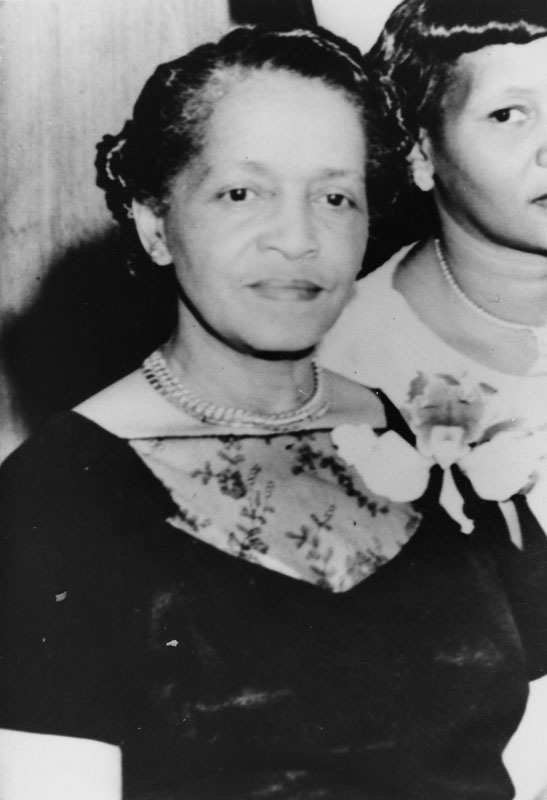 Dr. Maye Jones poses in cap and gown at her graduation in 1957. A woman attends the 42nd Annual Congress of the International New Thought Alliance. 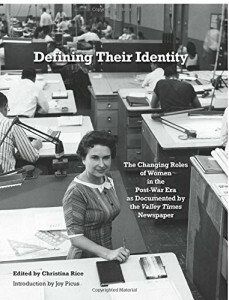 This photo was taken between July 21 and July 26 in 1957. 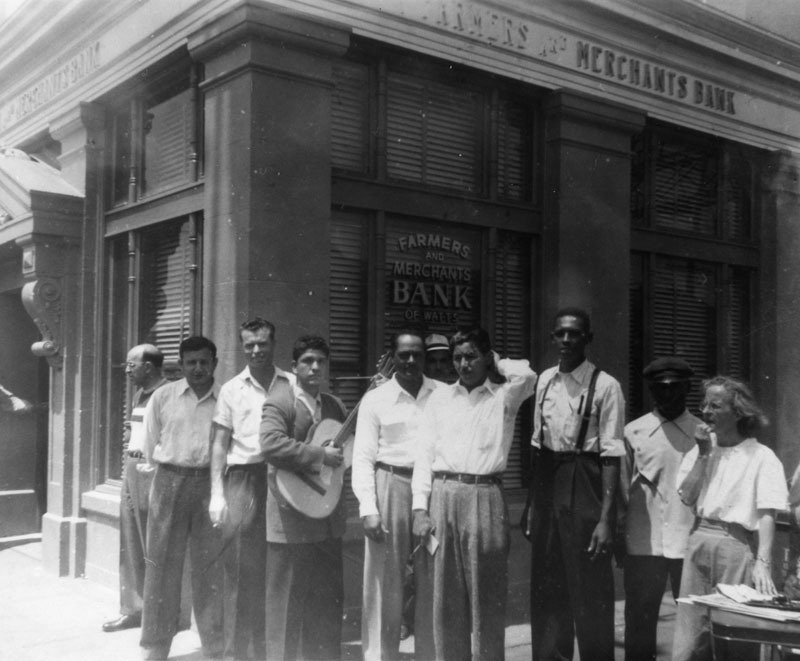 This photo shows the Farmers and Merchants Bank of Watts being picketed in 1948 for not hiring African American or Mexican American tellers. 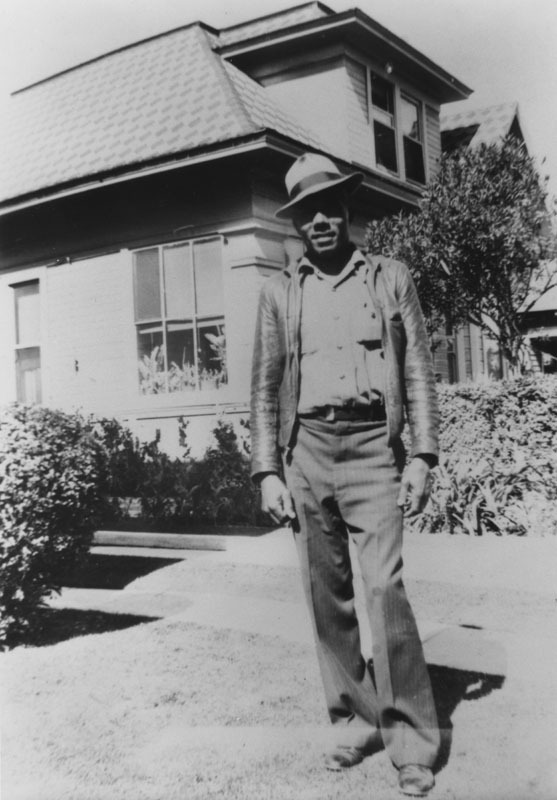 Raymond J. Austin poses in front of his home in Pomona, California, in 1945. 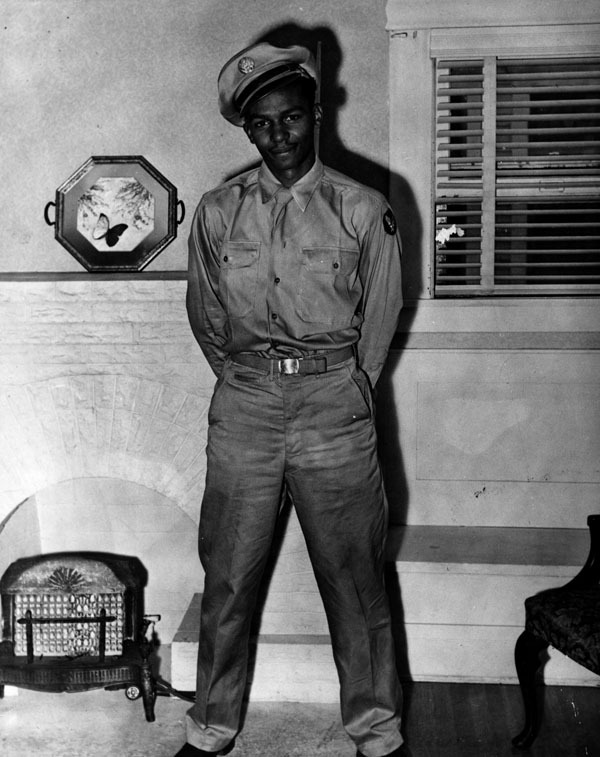 A young soldier poses in front of a fireplace. This photo was taken in 1943. 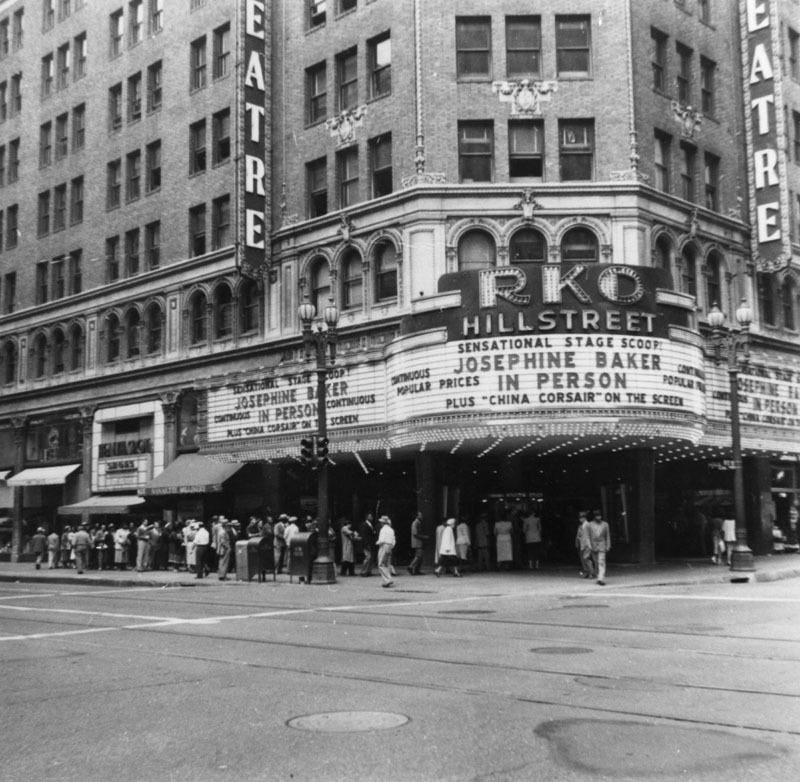 Crowds gather outside RKO Hillstreet Theatre (located at 8th and Hill Streets in downtown Los Angeles) to see a 1945 appearance by Josephine Baker, the African-American chanteuse who mesmerized France and openly discouraged segregated audiences. Fashion designer L’Tanya Griffin, who once designed gowns for Ida Lupino and ran her own dress shop in Hollywood, strikes a pose in this publicity photo. 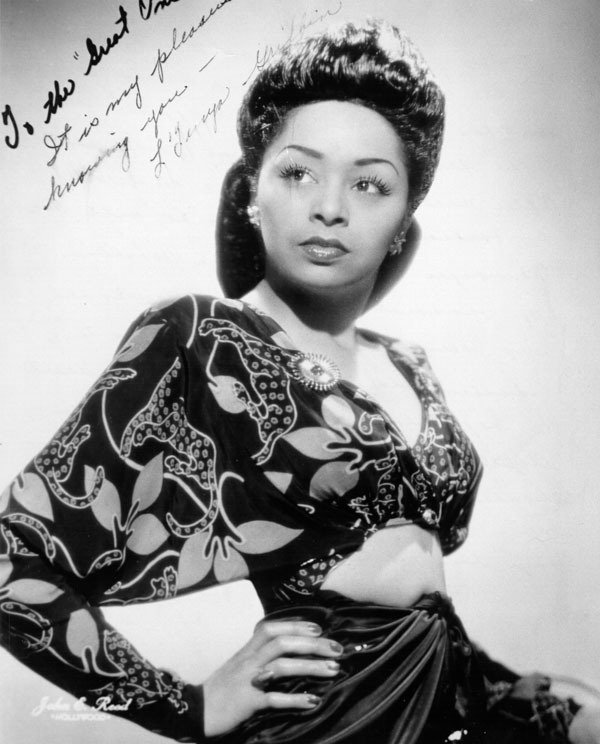 Photographed by John E. Reed in 1945. 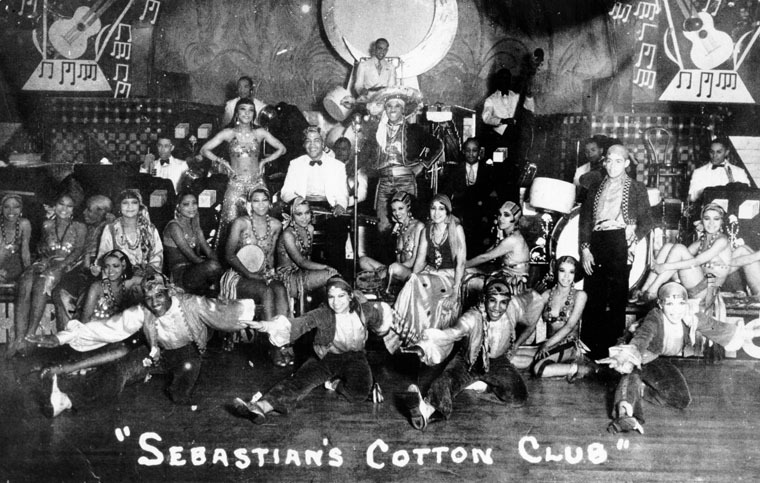 Sebastian’s Cotton Club (originally named the Green Mill) was owned by Frank Sebastian and located in Culver City. It boasted three dance floors and full orchestras, including an orchestra featuring “the world’s greatest trumpet player, Louis Armstrong, with the world’s fastest drummer, Lionel Hampton.” In this 1931 photo, you see an orchestra with Lionel Hampton, the drummer, at the top. 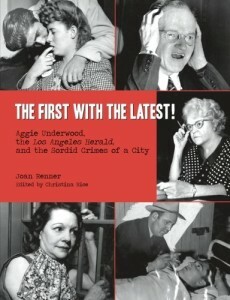 A trio gather at the Zenda Ballroom, a huge nightclub at 936 West 7th Street in downtown Los Angeles. This photo was taken in 1939. 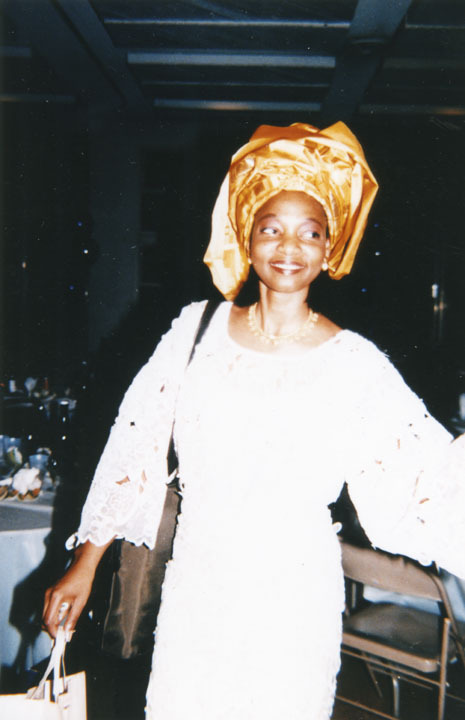 Tola Harris attends a wedding reception. The photo is dated November 9, 1996. 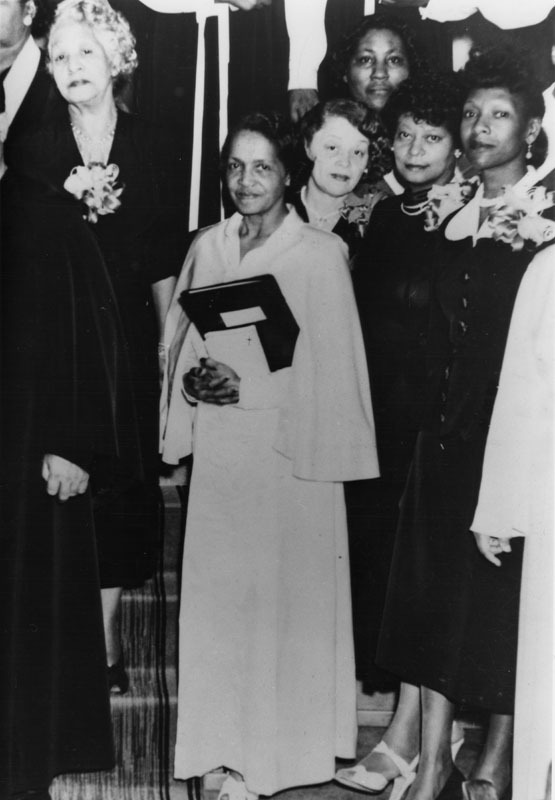 Five women pose in front of the Los Angeles County Museum of Art for the NAACP Awards. Photographed by Robert Douglas in 1968.